This isn't so much an Ask Me Anything (but feel free to post questions in the comment section), but Answering Most Everything that's related to cufflinks. I've seen so many questions related to cufflinks that it'll take a serious amount of time to write detailed, in-depth responses. However, this doesn't prevent us here at pranga & co, to provide some quick answers for six of those burning questions. So, this will be the first in a series of on going posts called Six Cufflink Questions. No one knows. Lost with the mystery of who invented the wheel, who invented fire and who let the dogs out. How are cufflinks made and how do they function/work? 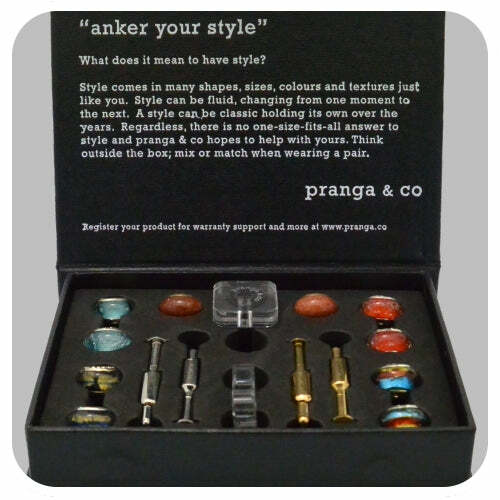 There are many different methods for making cufflinks, but I'll tell you how we at pranga & co make ours. Since our cufflink system is interchangeable, we only have to make the base part of the cufflink once. The backing (which is not usually seen) slides through the cuff holes and has a "toggle" that pivots at 90 ° to keep one end of the cuff together. It's locking function, keeping the backing in place which is special. 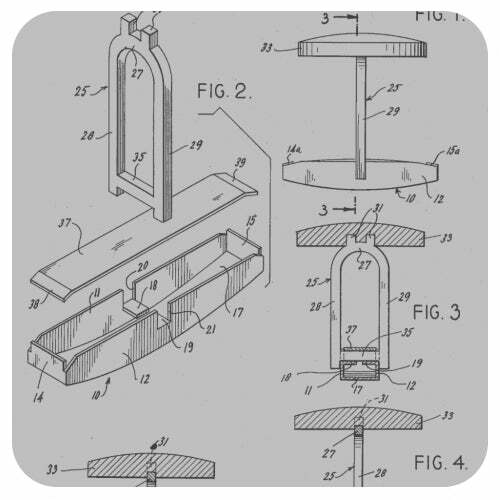 There are several variations of the function, but they mostly date back to a patent filed in 1936. You can read more about it here. There is no rule that says cufflinks are only worn at specific events. They can be worn anywhere and at any time. My general rule is that if you can wear a long sleeve dress shirt or blouse at the event/function, then you can wear cufflinks. So it's more of a personal choice. Can cufflinks be made into earrings? Yes. The simplest way would be to take it to a local jeweler. The decorative element would be removed from the cufflink. They could directly fix a loop to the remaining metal so it could be attached to the rest of the earring. If the decorative element of the cufflink is made from gemstones they could be removed directly and then incorporated in to the earrings. There are other methods, but it'll likely depend on the cufflink. Which cufflinks should I buy? I'm going to assume that you don't have any cufflinks and this is your first purchase. Start with the basics choosing colours and styles that will work best with your current wardrobe. This will allow you to get the widest use of the cufflinks. You'll also want the cufflinks to be reflective of you personally. There's nothing wrong with buying cufflinks that are a comment on hobbies or activities that you like.